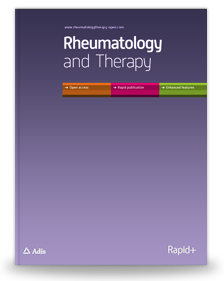 Mannitol Preserves the Viscoelastic Properties of Hyaluronic Acid in an In Vitro Model of Oxidative Stress by Thierry Conrozier, Pierre Mathieu, Marguerite Rinaudo, Rheumatology and Therapy, December 2014, Volume 1, Issue 1, pp 45-54; doi:10.1007/s40744-014-0001-8. – published online 25 July 2014. Viscosupplementation by intra-articular injection of hyaluronic acid (HA) is a widely used treatment for lower limb osteoarthritis. However, the injected HA is rapidly degraded by reactive oxygen species (ROS), limiting its time of intra-articular residence. Optimizing clinical effectiveness of viscosupplementation by reducing HA degradation in situ, and therefore increasing the time of contact with the diseased tissue, is a challenging research approach. Mannitol, a powerful ROS scavenger, is a good candidate for this. The aim of this study was to compare in vitro the resistance to ROS-mediated degradation of two marketed viscosupplements (one linear and one cross-linked) to that of two novel viscosupplements combining HA and mannitol. A HA viscosupplement at a concentration of 10 g/L (HA 1%)(Go-On®), was compared to a HANOX-M (HAppyVisc®), a novel viscosupplement made of a mixture of HA and mannitol. In a second experiment, Hylan G-F 20 (Synvisc®), a partially cross-linked viscosupplement, was compared to a HANOX-M-XL (HAppyCross®), a novel cross-linked viscosupplement made of a HA and mannitol (35 g/L). The four HA viscosupplements were subjected to oxidative stress generated by the addition of hydrogen peroxide (H2O2) and their rheological behaviour (elastic moduli [G′], viscous moduli [G″], and complex viscosity [|η*|]) were compared before and after the oxidative stress exposure. The two viscosupplements not containing mannitol HA were rapidly degraded by H2O2, as demonstrated by the dramatic decrease of |η*|. On the other hand, the rheological properties of HA containing mannitol were not substantially modified in the presence of H2O2. This in vitro study demonstrates that mixing mannitol with HA protects the viscosupplement from ROS-mediated degradation and might therefore increase its intra-articular residence time without substantially modifying its rheological behaviour. This in vitro study has to be followed by clinical trials designed to assess whether the addition of mannitol to HA might improve the efficiency and/or the duration of action of viscosupplementation. HAppyCross® was demonstrated to be much more resistant to degradation than Synvisc®, and HAppyVisc® more resistant than Go-On®.